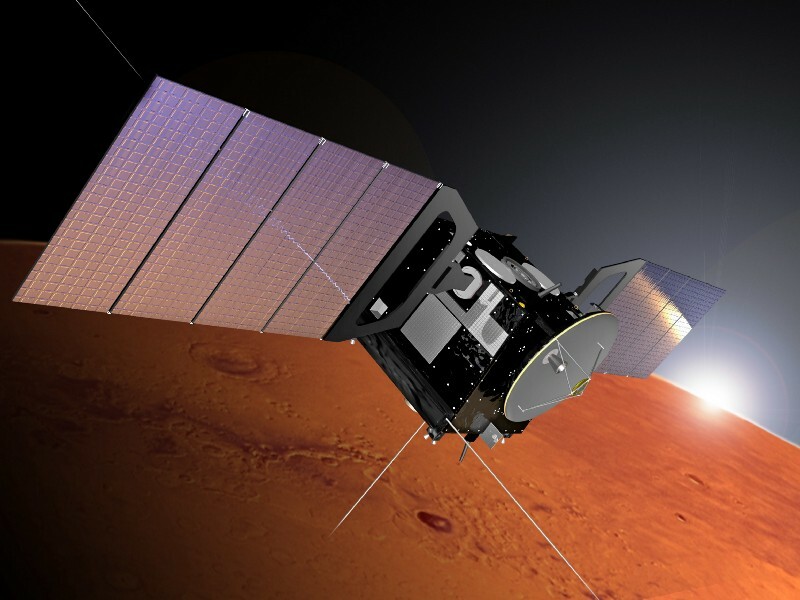 A new study suggests deep groundwater could still be active on Mars and could originate surface streams in some near-equatorial areas on Mars. 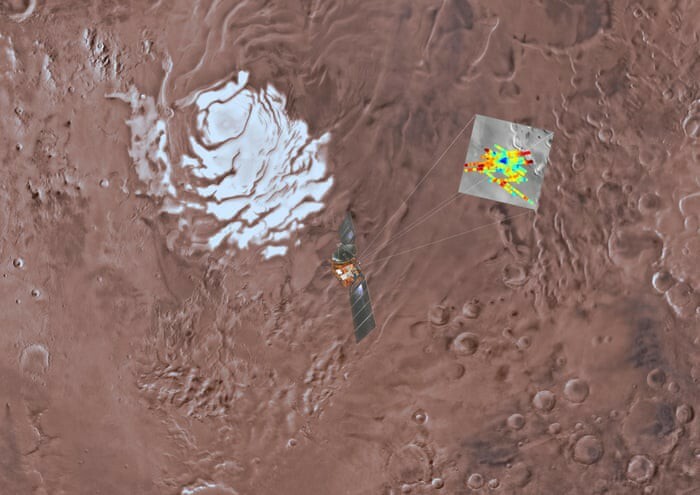 The research — published by researchers at the USC Arid Climate and Water Research Center (AWARE) — follows the 2018 discovery of a deep-water lake under Mars’ southern pole. It also comes just a day after the revelation that rivers flowed on Mars much later into its history than previously believed. The researchers at USC have determined that groundwater likely exists in a broader geographical area than just the poles of Mars and that there is an active system — as deep as 750 meters — from which groundwater comes to the surface through cracks in the specific craters they analyzed. Heggy — a member of the Mars Express Sounding radar experiment MARSIS probing Mars subsurface — and co-author Abotalib Z. Abotalib, a postdoctoral research associate at USC, studied the characteristics of Mars Recurrent Slope Linea, which are akin to dried, short streams of water that appears on some crater walls on Mars. Scientists previously thought these features were affiliated with surface water flow or close subsurface water flow. Heggy says: “We suggest that this may not be true. Abotalib Z. Abotalib, the paper’s first author, adds: “The experience we gained from our research in desert hydrology was the cornerstone in reaching this conclusion. The two scientists concluded that fractures within some of Mars’ craters, enabled water springs to rise up to the surface as a result of pressure deep below. These springs leaked onto the surface, generating the sharp and distinct linear features found on the walls of these craters. The scientists also provide an explanation of how these water features fluctuate with seasonality on Mars. The study, published in Nature Geoscience, suggests that groundwater might be deeper than previously thought in areas where such streams are observed on Mars. The findings also suggest that the exposed part of these ground fractures associated with these springs as the primary location candidates to explore Mars’ habitability. Their work suggests that new probing methods should be developed to study these fractures. The authors of this current Nature Geoscience study used hi-resolution optical images and modelling to study the walls of large impact craters on Mars. Their aim — to correlate the presence of fractures with the sources of streams that generate short water flows. 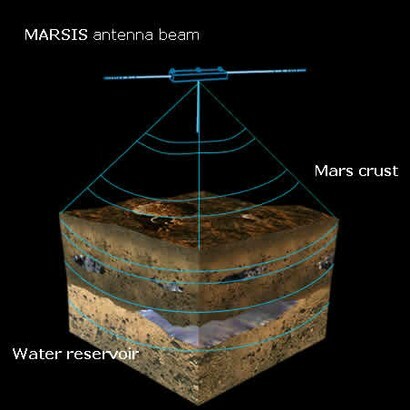 The Mars Advanced Radar for Subsurface and Ionospheric Sounding (MARSIS) on board ESA’s Mars Express employs ground-penetrating radar to map underground water on Mars. Low-frequency waves are directed towards the planet from a 40 m long antenna which and then reflected from any surface they encounter. A significant fraction will travel through the crust to encounter further layers of different material — perhaps even water. They believe that this deep source of groundwater is the most convincing evidence of similarities between the two planets — it suggests both may have had wet periods long enough to create such an active groundwater system. For Heggy — an advocate for water science and water science education in arid areas — this particular study is not about colonization. Rather, he says, these rare and puzzling water flows on Mars are of big interest to the science community: “Understanding how groundwater has formed on Mars, where it is today and how it is moving helps us constrain ambiguities on the evolution of climatic conditions on Mars for the last three billion years and how these conditions formed this groundwater system. Original research: “A deep groundwater origin for recurring slope linea on Mars,” is the first Mars paper by the newly created water research centre at USC. The work is funded under NASA Planetary Geology and Geophysics Program.